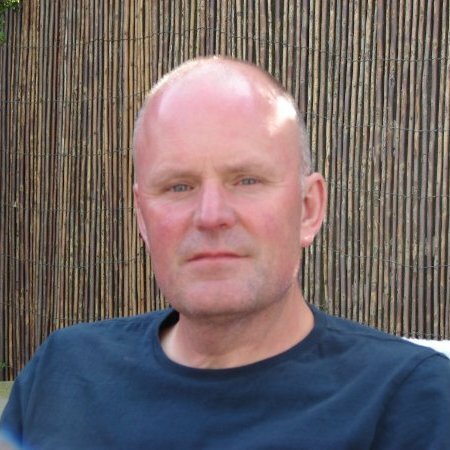 Phil Mizen has been growing professionally since 2006, coming in to horticulture as a second career, having previously worked in the electronics industry for more than 20 years. Having tired of sitting in airport lounges, conference rooms, and depressing hotel bedrooms, Phil decided to jump ship and to pursue a passion that was first kindled as a teenager in Cornwall. In 1977 I wrapped my worldly belongings into a handkerchief, tied it onto a stick, slung it over my shoulder, and hitch-hiked down to the South-West. Quite by chance I gained employment at a guesthouse, with its own beach, and with a small market garden in its grounds. When I wasn’t working in the beach shop selling ice creams and Cornish pasties (tiddi oggies to the locals), most of my time was spent working with a lovely old horticulturist called Bert Boxall. In the couple of years that I spent at Porthcurnick House I learned so much, without realising it at the time, but the knowledge lodged in my brain and came flooding back 30 years later. Before semi-retiring to Cornwall, Bert had run a much larger enterprise in Bedfordshire, supplying shops and markets with fresh produce, and what he didn’t know about growing vegetables wasn’t worth knowing, so he was a fantastic tutor, and many of the growing practices that I learned from him I still follow today. After deciding on my new career I enrolled on a degree course in Commercial Horticulture at Writtle Agricultural College. During my second year on the course an opportunity arose to take on a neglected walled kitchen garden in the heart of Suffolk, so the degree was put on ice, where it remains today. I spent nine happy years at Langham Hall, where I built up a local vegetable box scheme, grew potted herbs, and took a stall at the weekly Farmers’ Market at nearby Wyken Vineyards; trading as Langham Herbs. 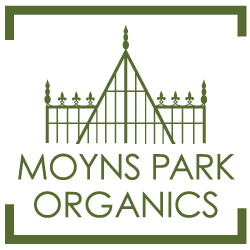 My daily commute was 50 minutes each way, so when I learned that there was a great growing site available just 10 minutes along the road I jumped at the chance to relocate my business to Moyns Park in 2015. I have always been a nature lover, and a supporter of the environmentalist movement that strives to preserve our natural environment; it is therefore no surprise that I am committed to growing vegetables in a way that minimises harm to the ecosystem. 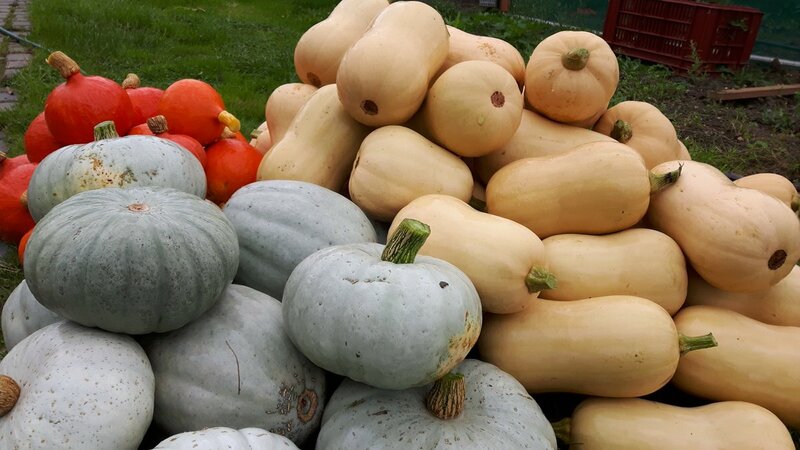 Growing organically is not easy, and at times one has to turn a blind eye to some of the weed pressure, and to a few blemishes on the produce, but this is a small price to pay for healthy, nutritional, vegetables free from herbicide, pesticide or synthetic chemical fertiliser residues. Away from the garden my interests include: beekeeping (I have kept honeybees since 1989), music (a regular visitor to the Glastonbury festival until the tickets became rarer than hen’s teeth), and an admirer of 20th century British art…..oh, and reading books about organic growing. As I grow older I am becoming more curmudgeonly, and less tolerant of the fripperies of modern society. Maybe it’s a result of being alone so much, and being surrounded by nature, but the hippy in me is something that I am happy to embrace with open arms. Love and peace man. 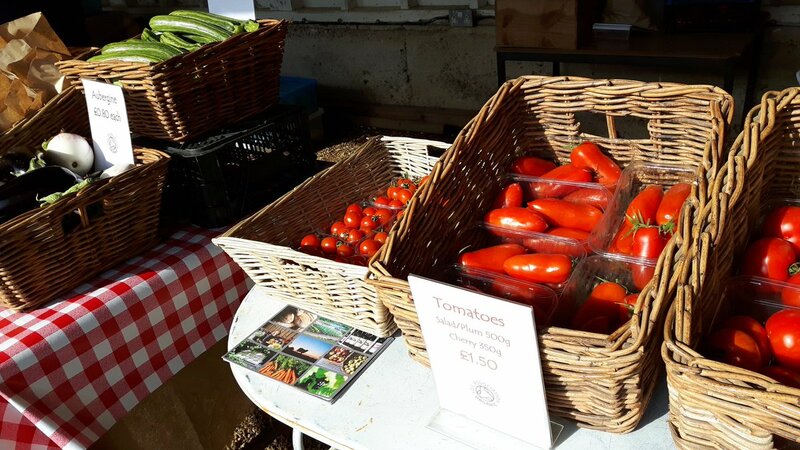 The approximately 2 acres of growing space is on the site of the old kitchen garden, which in days past would have provided the ‘big house’, and probably most of the estate, with fresh produce all year round. The garden occupies a gently sloping south-easterly aspect, and unlike many country estates, it has only one wall, against which stands a beautiful heated greenhouse, in the Victorian style. Adjacent to this 3-bay house is a low, sunken glasshouse, which is used for propagating vegetable and herb transplants. At right-angles to the main greenhouse is a polytunnel, used for growing most of the summer crops, such as tomatoes, peppers, and aubergines. This structure also offers season extension, making it possible to over-winter some leafy greens and winter salads. 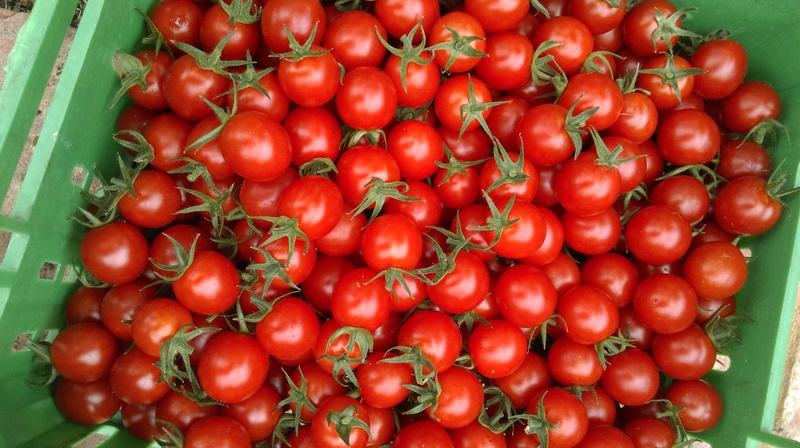 The garden is certified organic with the Soil Association; an annual on-site audit is carried out to verify that its exacting organic standards are being adhered to. Growing organically is all about the soil, so the focus is directed towards maintaining and enhancing fertility, through crop rotation, cover crops, and by incorporating compost and manures. The Organic mantra is – feed the soil, not the plants. When growing under cover it is sometimes necessary to feed the plants, and this is most often achieved through foliar feeding seaweed based fertilisers, and by making a high potassium liquid feed from Comfrey which grows wild close to the garden. Pest control is mostly achieved by encouraging beneficial wildlife into the garden; birds, frogs, toads, bees, ladybirds, hoverflies, lacewings, even wasps, which have a real appetite for aphids. However, some wildlife is less welcome, so physical barriers, such as nets and horticultural fleece are used to protect vulnerable crops from butterflies, flea beetle, pigeons and rabbits. Alongside the garden is an apple orchard of approximately an acre, where more than a hundred trees grow. The heritage varieties of apples are sold fresh in season, but the majority are pressed for their delicious juice. The Moyns Park Estate sits above the Stour Valley, between the villages of Birdbrook and Steeple Bumpstead, about a mile into the pretty north Essex landscape. The estate itself comprises some 425 acres of arable land, woodland, parkland, and paddocks. At the heart of the estate stands a magnificent Grade I listed moated Tudor mansion, whose most striking features are its massive clusters of chimneys. The house was built for Thomas Gent in the late 16th Century, but it incorporated a courtyard house already on the site. “The forepart of the handsome ancient mansion is a fine specimen of the ornamented style of domestic architecture of the time of Henry the Eighth, and of Queen Elizabeth; the large projecting windows rise as high as the body of the building, assuming the form of turrets, and the numerous ornamental gables, with the antique clustered form of the chimneys, give the whole of this grand front a varied and pleasing appearance. Rich pasture grounds and picturesque woodland scenery distinguish this part of Essex, particularly in the vicinity of Moyns; and the park, which contains abundance of fine timber trees, also commands distant interesting prospects into Cambridgeshire and Suffolk.” This is an extract from ‘The history and topography of the county of Essex’ by Thomas Wright, published in 1836. In the same volume is an entry on the village of Birdbrook; “The name given to this parish is supposed to have been derived from the brook Bird, which passes over part of it. In records it is written Bridebrook, Brodebrooke, Burdbrooke, and, in Domesday, Bridebroe. The strong wet soil of this district is mixed with a deep sandy loam, and, in some instances, highly productive.” It can be confirmed that the soil remains strong and wet to this day! The name Moyns is believed to have its origins in the name of the Le Moyne family who under Gilbert Le Moyne remained in England after the Norman invasion of 1066. The family ran through several major and minor lines of nobles and gentry such as the De Warrens, Gents, Darbys, and Dalstons. The Gents held their first court at Moyns in the early 16th century and the estate grew and continued to do so under Sir Thomas Gent (Queen Elizabeth’s Baron of the Exchequer, Sergeant-at-Law and later judge). Today the Moyns Park estate is privately owned by the Gardiner family, and it is home to a successful horse stud, which features picturesque thatched stables. Wheat and barley is grown on the arable land. Moyns Park is a haven for wildlife, and it is not unusual to spot, amongst many other creatures, fallow and roe deer, foxes, badgers, stoats, hares, grass snakes, buzzards, nuthatches, owls, goldcrests, and even the occasional red kite. 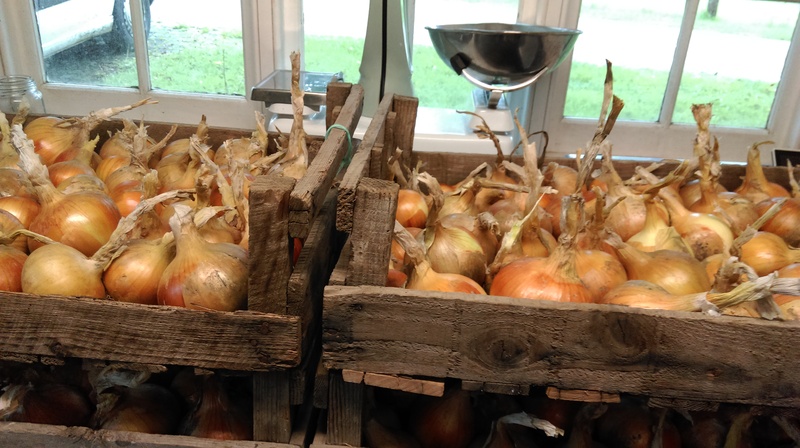 The parkland and horse paddocks, as well as the old kitchen garden, are managed and certified as organic by the Soil Association.